Rego Iron Company Clarksboro offers the best wrought iron services in Clarksboro, New Jersey, 08020. 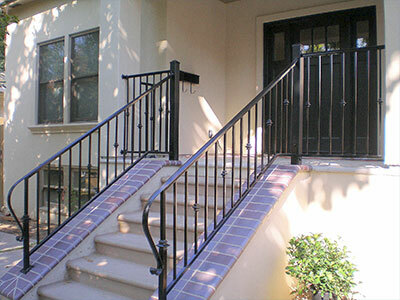 Enhance Your Property with Wrought Iron Today! Rego Iron Company serves the local community of Southern New Jersey. We are a local business owned by the Rego family and our mission is to serve our community with highest quality workmanship. We enhance the beauty and value of your home or business specializing in Wrought Iron Railings and any other aspect of your home or business where iron is appropriate including: Railings, Stairs, Fabricating and Light Structural Steel Components. We bring a professional attitude and experienced craftsmen dedicated to meeting all of your needs for your complete satisfaction. Contact Us for free estimates and please remember, there is no job that is too large or too small.